Squash like you've never seen it before! 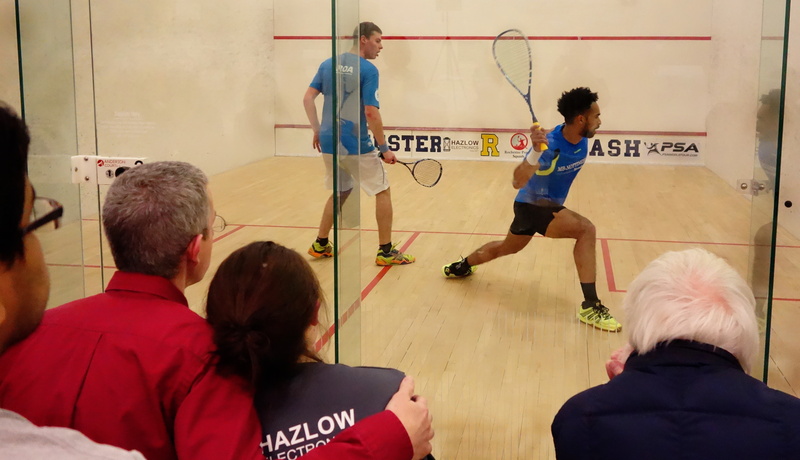 In it's 16th year running, the Rochester ProAm will see a stellar draw of 24 professionals from Egypt, Zambia, Pakistan, Mexico, Jamaica, South Africa, England, France, Canada and Australia - right here in Rochester! 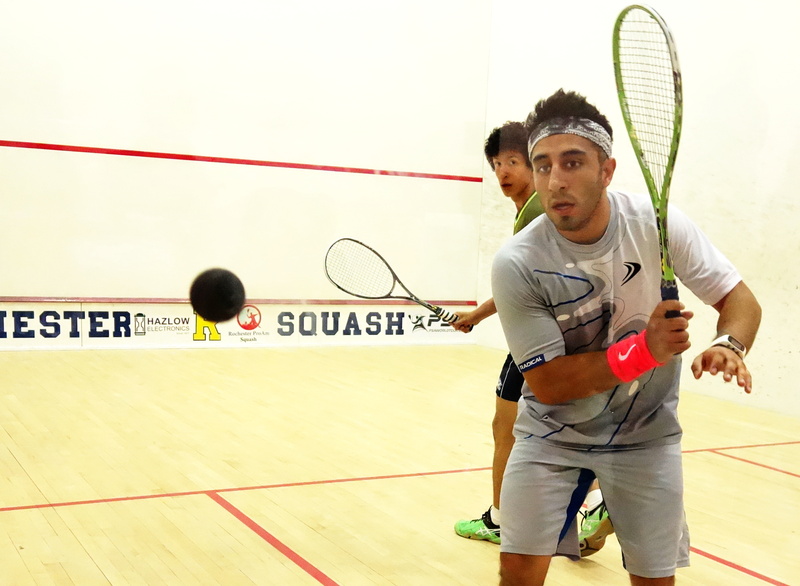 A $5K Challenger 5+ event on the Professional Squash Association (PSA) world tour calendar. 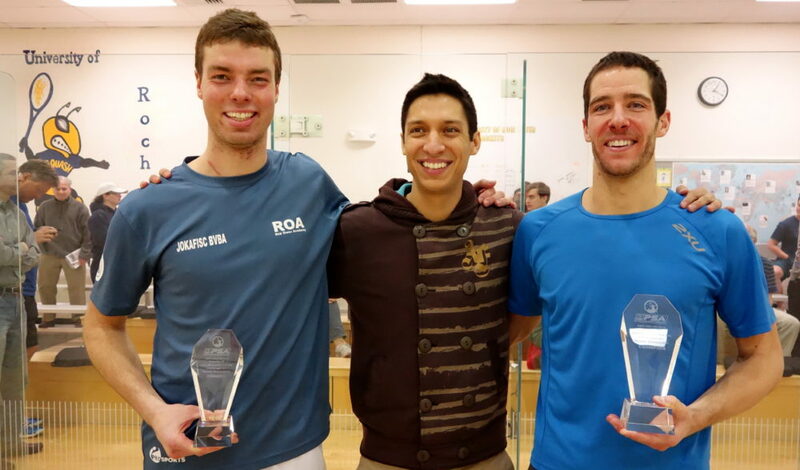 Welcome to the 15thth annual Rochester ProAm Squash Tournament, presented by the Rochester Squash Racquets Association generously supported by corporate and individual sponsors from the Rochester squash community, and squash community volunteers. Semi-final Rochester ProAm 2016 Lewis Walter (R) vs Jan van den Herrewegen who won 3-1. 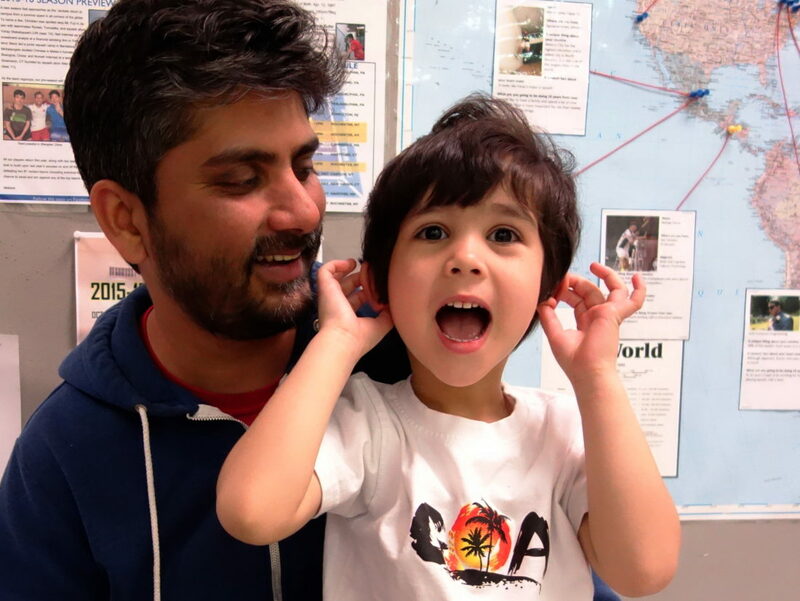 Martin Heath, UR coach and former squash world-ranked #3, hits with his son, Cam, after ProAm 2015 action. 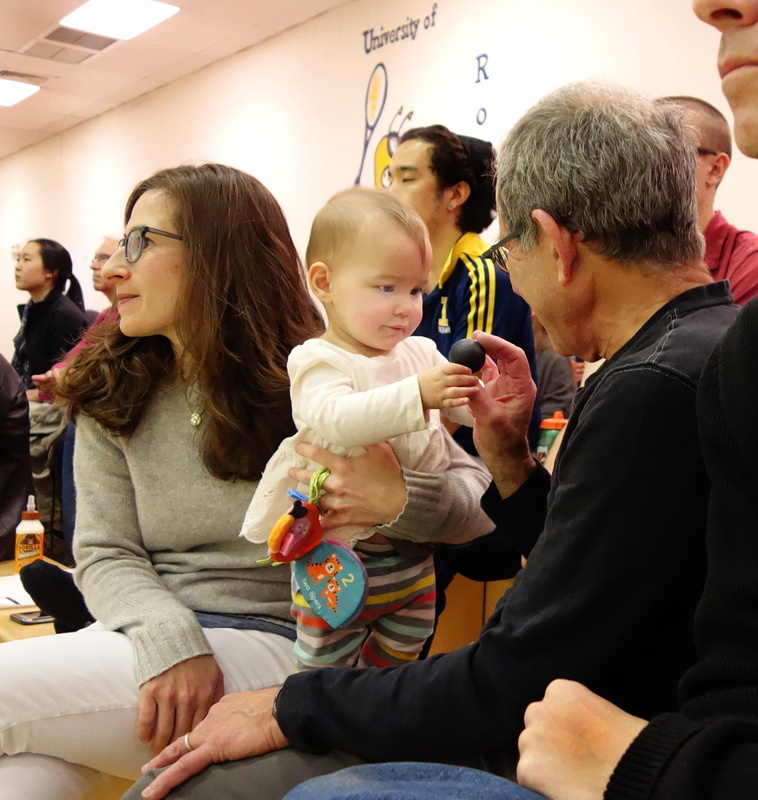 At the Rochester 2016 ProAm, proud grandfather, Andy Stern, introduces Azalea Bennett to squash as her mom, Abby Stern Bennett, provides gentle support. Azalea soon discovered that squash is yummy. 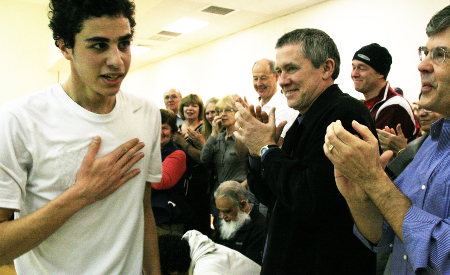 Rochester 2012 ProAm winner Ali Farag is cheered by the audience. Farag beat Clinton Leeuw, 3-1. As of January 2019, Farag is the PSA world ranked #2 player. Mario Yanez (MEX, UR #1) plays Jesus Camacho (MEX) in Round 1 of 2016 ProAm. Camacho won 3-2. Tomotaka Endo (JAP, UR #3) vs Supreet Singh in qualifying round #2. Singh won 3-2 in 44 minutes. In the previous round, Singh beat former UR player and tournament director, Oscar Lopez, 3-1 in 45 minutes. 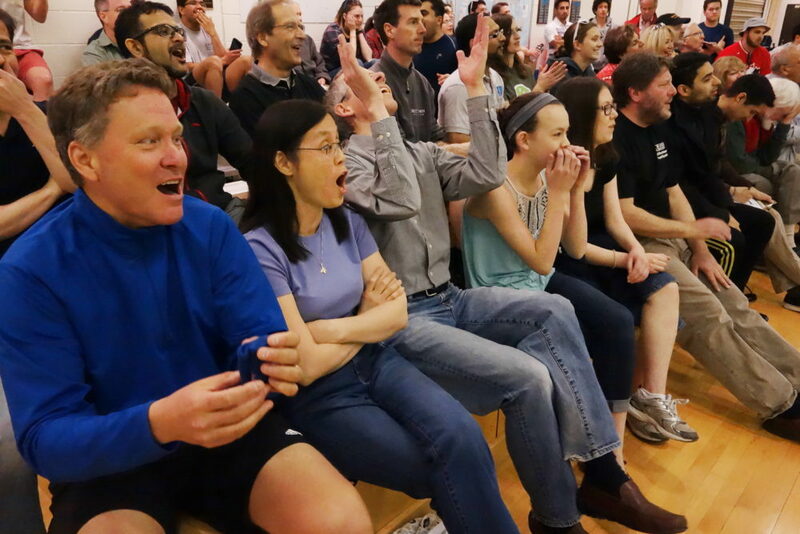 Master of "it doesn't get more exciting than this", Tomotaka Endo, up 2-1 in games teeters the crowd on the edge of their seats with a tie-breaker that ends with Singh winning 18-16 to tie the match - and with Singh ultimately taking the match with a 11-8 win in the fifth game. Jan van den Herrewegen (L) and Martin Knight (R), winner, with Oscar Lopez, tournament director. 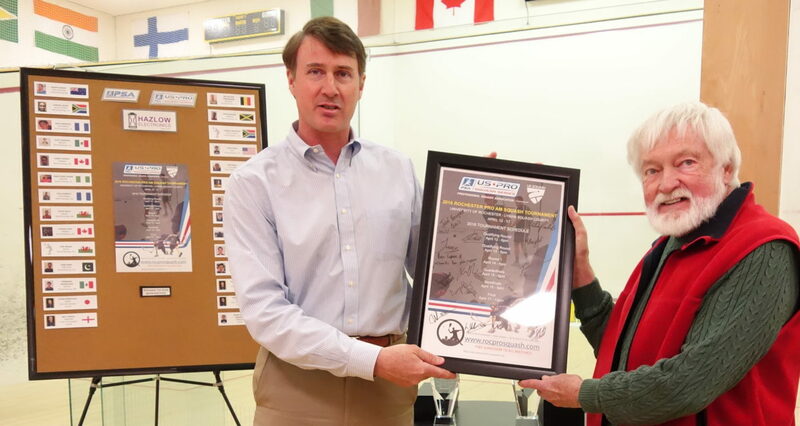 Thomson Chew, incoming president of the Rochester Squash Racquets Association, recognizes Andy Publow for his continued support of the Rochester ProAm. 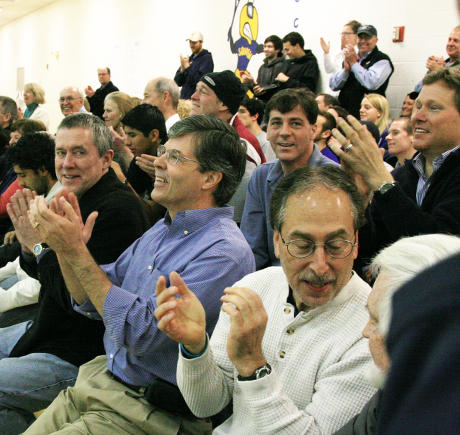 The Rochester ProAm squash tournament is made possible solely by support from the Rochester squash community.